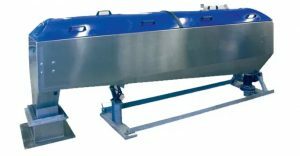 Sludge Thickening Unit are ideal for mechanical thickening of sludge prior to digestion and for reducing sludge volume prior to storage or transportation. They are designed to handle sludge extremely gently, providing exceptionally high recovery for nearly all sludge types. Sludge Thickening Unit are capable of handling a wide range of flow rates. They are designed to be efficient, simple to install, easy to maintain and straightforward to operate. Installation, operating and service life costs are minimal.